I did not Shampoo my Hair since the end of the year 2013. I have had a phase of “No Shampoo” which had great results on my thin hair. I used Soulflower Shampoo Bars from November 2013 till February 2015. I switched to using Organix Biotin recently. So when I switched to Nioxin since 16th May 2015 to present, I have been observing even the tiniest difference I feel in my hair and scalp. I jotted down pointers everyday in Evernote to keep my conclusive decision updated. As adviced by Harsh, I did not use anything except these THREE products. And I blow dried only Once a week in the course. At times I missed my hair oiling sessions and Serum for detangling since I was hopeful about the results. Well read till the end to know my exact contemplative thoughts. Where are the differences I notice currently: In present tense because I’m yet to finish the kit. ~ I had more fly aways than I could have handled with my two hands. ~ I simply noticed my hair growth is faster. ~ My hair ends resembles Broom bristles to be precise. There are other products available to be teamed with the essentials like Nioxin Deep Hair Repair Masque, Nioxin Density Restoration & Dermabrasion Treatment. 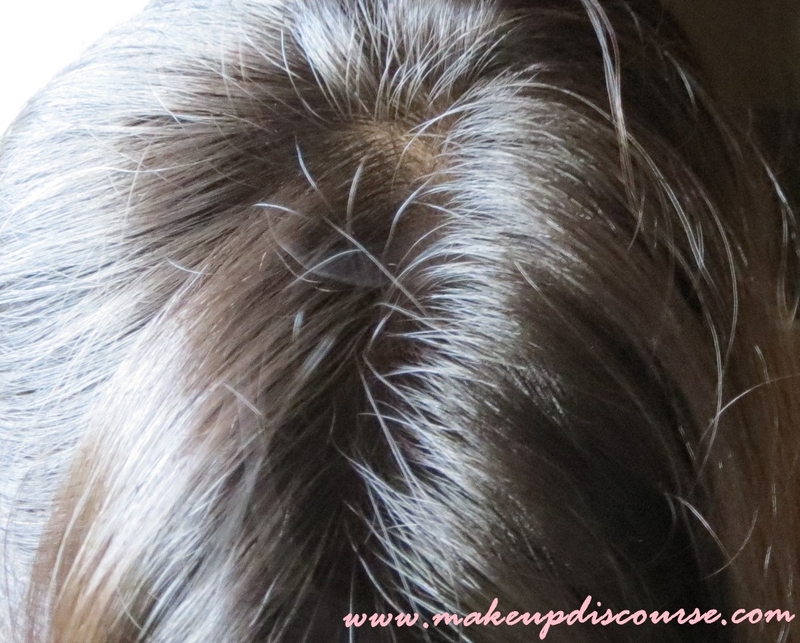 I am sure my dry ends or bristled hair issues would have been tackled with repair masque. And the tangles issue with the serum. When I quit shampooing my hair, I used baking soda, Apple cider vinegar rinses or simply freshly brewed green tea with Rosemary and lavender essential oil rinses once a week. 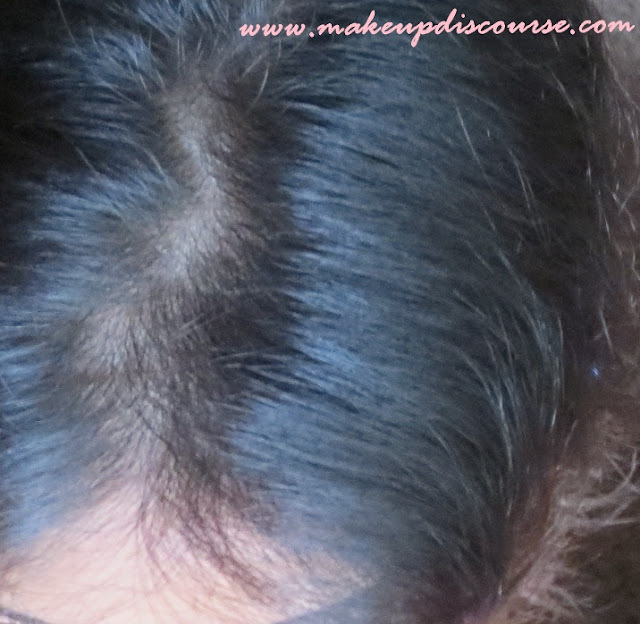 This method worked miracles for my thin hair. Here’s a picture I clicked somewhere in mid 2014, 6 months down ‘No shampoo’ method. My hair had body and they did appear fuller, even my pony tail appeared fuller. Moreover my hair grew faster than it normally did perhaps because of Lavender, Rosemary & Peppermint Oil massages. My hair became course and brittle due to styling them twice-thrice a week hence I switched to Organix in February 2015. Nioxin does not promote hair growth,reduce or stop hair fall. Nioxin doesn’t help in growing back reduced hair including receding hairline Nioxin solely makes the hair appear fuller, which is what ‘No shampoo’ method does too. A day old washed hair appear bouncier than freshly washed hair. I love the Nioxin Cleanser; it is cooling and leaves a squeaky feeling behind. But the conditioner is not moisturizing/hydrating enough for my dry, brittle hair. ~ Shampooing, Conditioning everyday is not what I am comfortable with. ~ I particularly look bald if I don’t use dry shampoo on bad hair days. ~ The Entire range is expensive added the monthly scalp facials every 40 days. ~ I have to style my hair to look human, unmistakably. Price: 3000 INR excluding Taxes. The kit would last for 45-60 days depending on the hair length. Who would I recommend Nioxin to? If you face hair thinning issues alone. (Don’t include receding hairline or hairfall). You agree to follow the regimen every day. I would recommend Scalp Facial or Microdermabrasion to everybody because the results are instant. The bottom line is that I got the same results (fuller and denser appearing hair) with ‘No shampoo’ method and A sparkling scalp with fuller looking hair with Nioxin. 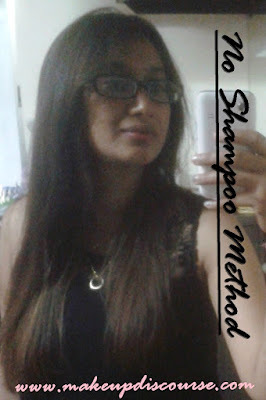 I personally adore the Bounce and volume I got from ‘No shampoo’ method and hair rinses. Pardon my Scalpfie picture quality, the process turned out tougher than I imagined. I have read something normal about this brand before and your review was just so perfect and upto the point. Loved your way of explaining things. Hi5 coz your hair and my hair looks almost the same except my hair length is short.